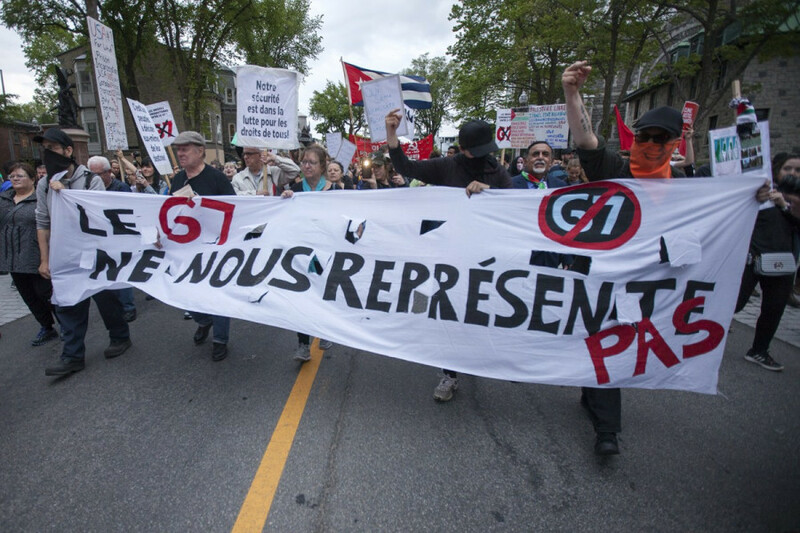 QUEBEC– About 600 protesters marched to the National Assembly in Quebec City today to denounce the G7 Summit taking place in Quebec’s Charlevoix region over the next few days. 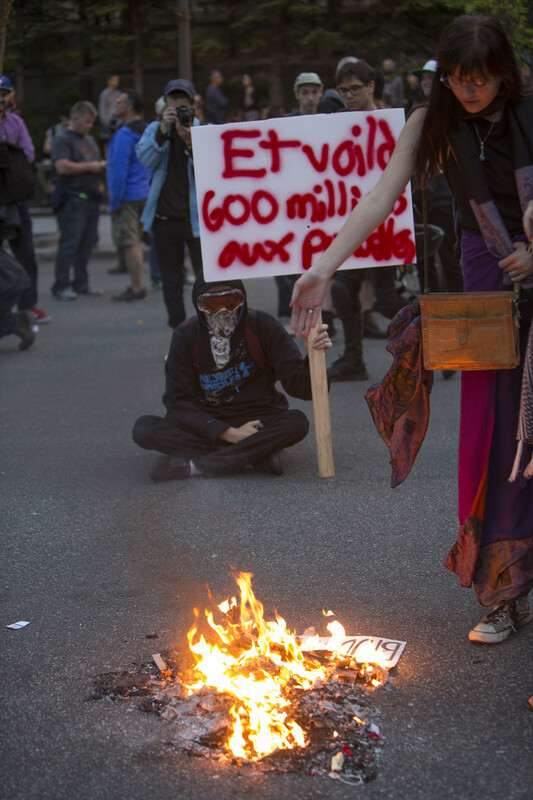 After starting at Parc Des Braves, the Service de police de la ville de Québec reported that two demonstrators were arrested for possession of explosives and are under interrogation. The leaders of the seven leading countries—Canada, the United States, Germany, Japan, the United Kingdom, France, and Italy—are holding their annual summit in Quebec’s Charlevoix region from June 8 to 9 to discuss world economy, gender equality, and climate change. 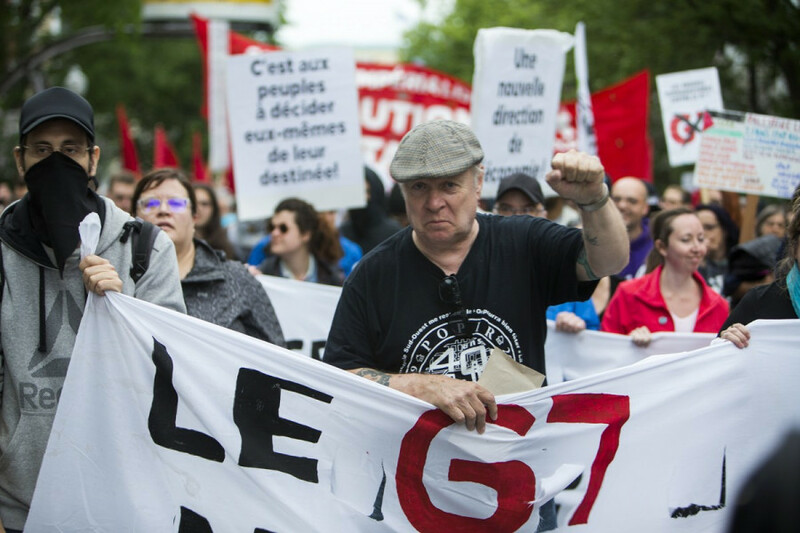 Many anti-globalization and anti-capitalist protesters in Quebec say leaders will fail to take matters of gender and environment seriously enough, and will instead put more emphasis on economy. 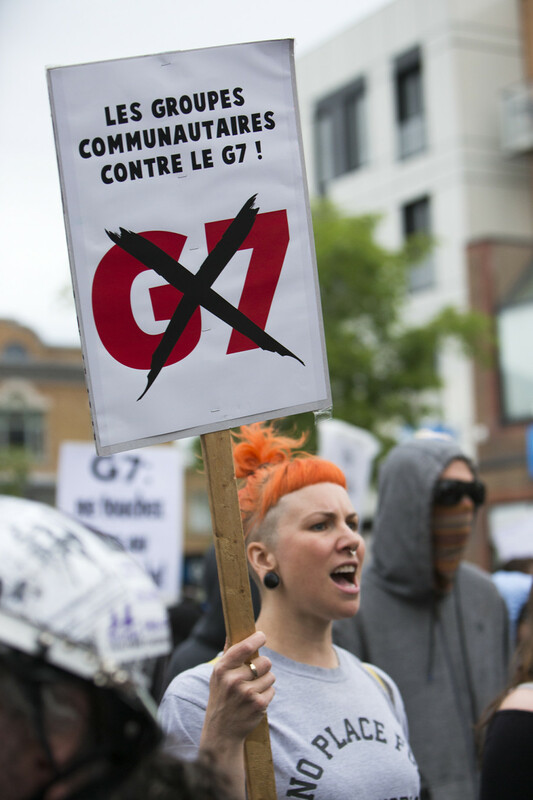 “They have this big agenda but then in the news we see that Trump made a new economic policy so they have to talk about that as a priority,” said an organizer with the Reseau de resistance fanti-G7, who wished to remain anonymous. “They’re gonna shift the agenda, they’re going to throw away the rights of women, throw away the environmental crisis, they’re gonna throw away everything and just discuss the economy and that’s what we’ve been denouncing from the start,” he said. The same organizer said their agenda isn’t set in stone, and described their protest as being more symbolic. He also said goals vary between factions there to protest. E.C., with the Industrial Workers of the World, said he came because he wanted to take a stand against neoliberalism, as it goes against workers and their rights. He described G7 are being a performative photo opportunity for politicians. Artist Shanipiap said she came out to defend Indigenous rights so they can have the same right to resources as others in Canada. “We were shocked,’’ she said, adding that Canada’s economic policies are harmful to Indigenous people here. Despite that, she said she was inspired to see so many here to support environmental rights. The protest ended peacefully, though a large police presence suggests they were prepared for more. About 8,000 officers from the SPVQ, Sûreté du Québec, Canadian Armed Forces, and RCMP were sent to both sites, according to The Gazette. Police showed up in full riot gear equipped with gas masks, blunt impact projectiles, gas canisters, batons and one officer was spotted with an assault rifle. Amnesty International kept representatives on the sidelines to make sure civil rights would be respected, and worked with the civil liberty right group La ligues des droits et libertés. Their team of 44 people that includes lawyers, former police officers, and university professors are deployed in Quebec City, La Malbaie, and Saguenay to oversee ongoing demonstrations until Saturday. They hope to prevent abuses from taking place and to protect freedom of expression and freedom of association, said Nathalie Cote of Amnesty International. 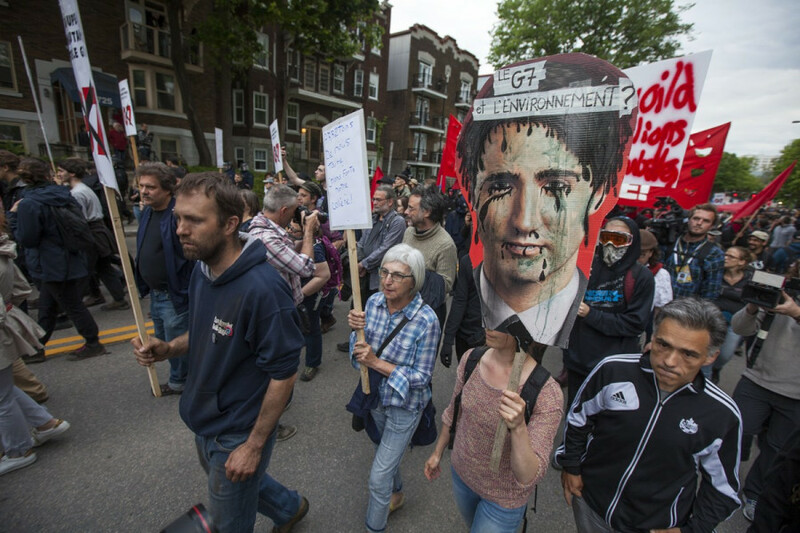 The initiative was prompted by the serious human rights violations seen in Quebec City after the Summit of Americas in 2001, the 2010 G20 in Toronto, and the Quebec student strikes of 2012. This includes a use of force that is not proportionate, mass arrests, or the use of weapons that can cause severe harm such as rubber bullets. 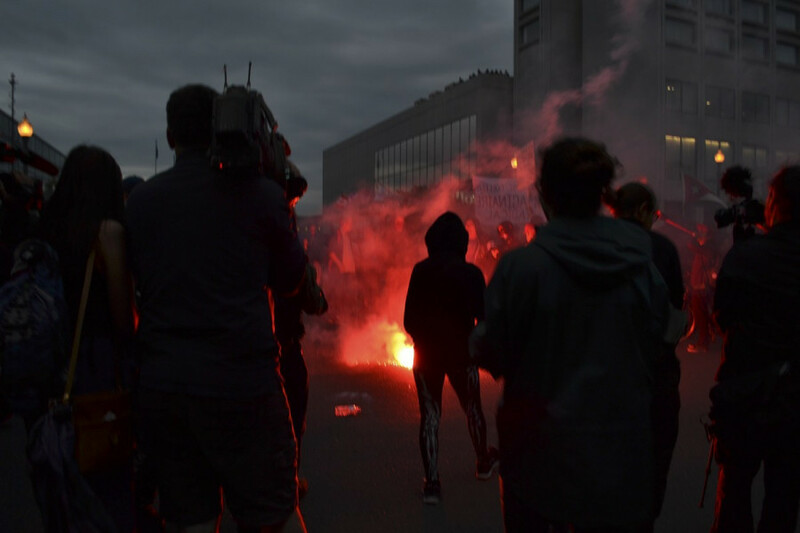 The protest ended around 8 p.m. at the National Assembly where protesters set off flares and set the flags of the G7 on fire. Some protesters made symbolic gestures like lying on the ground, while another was seen cutting off their hair before throwing the remains into a fire.